These are examples of what are called imperatives and in particular, negative imperatives. The imperative is a verb form that is used to give orders, instructions, advice, encouragement etc. 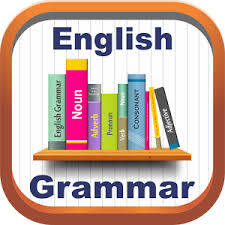 It’s formed by using the base infinitive of the verb (the infinitive without to). You don’t need a subject. You can make an imperative more emphatic (stronger) by adding ‘do‘ before the verb. This can also show more politeness or more concern as well as being a strong order. In all cases pronunciation is very important. The same words can show anger or politeness depending on the tone of voice. Sometimes you want to tell someone NOT to do something. This is a negative imperative. In this case you simply add the word ‘Don’t’ before the verb. Don’t forget to make a wish! Don’t say it out loud! Although you don’t need to use a subject pronoun with imperatives, you can use a noun or pronoun to make it clear who you are talking to. Peter sit down. Everyone else stay standing. Don’t worry everybody, it’s only a drill, not a real fire. Note that using ‘You’ before an imperative can show anger or that you are putting yourself in a position of authority. The pronoun ‘you’ comes before the imperative and not after. In negative imperatives the pronoun ‘you’ comes between ‘don’t’ and the imperative. Don’t you speak to me like that! Adverbs like ‘always’ and ‘never’ come before imperatives. Always look both ways before you cross the road. Never drive without your seatbelt fastened. Your Teacher at SkypeClass will be happy to help you practice using Imperatives. Practice environement vocabulary with Philip your skypeclass Teacher. Podcast – Is Man Flue real ? English advice on when to use the following English terms. Remember! Pedestrianisation – is it good for cities?